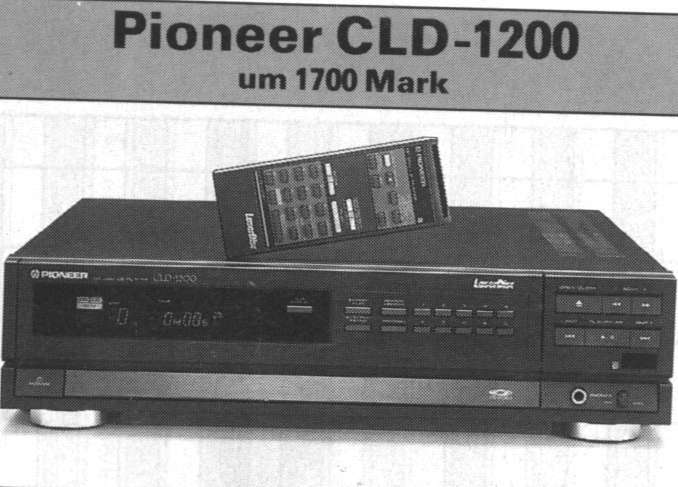 On July 8th 1998 Pioneer held a press briefing to announce details of its first UK spec LV/CD-V/CD Combi player, the Pioneer CLD-1200, a look-alike of the US model CLD-1030. In the October-December sales period Pioneer hopes to shift 3,000 CLD-1200s. The press briefing turned out to be the first occasion Pioneer has been forthcoming about details of the trade in for old models of LV player for the new Combi. LD-700 players will be worth £150 against it, LD-1100s £100. The offer was limited to UK model Pioneer LV players and ran until March 1989. Because Pioneer brought one of its development engineers over from Japan it was possible to see the CLD-1200 working in something of an unusual way. The player's working innards (the motor, laser pickup and guide rails) were plonked down on a table and wired into the electronics of an adjacent player. 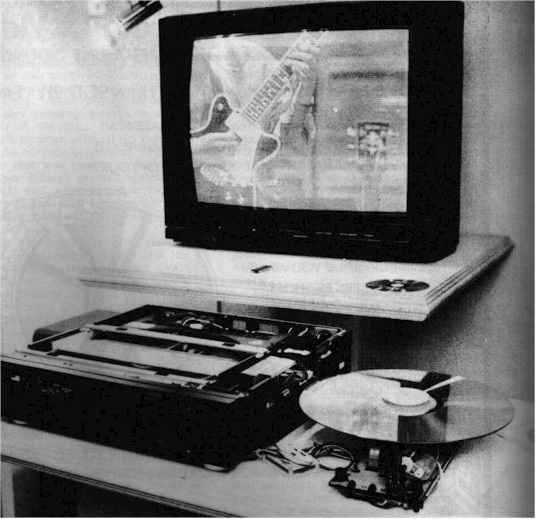 Discs were played (both CD-V and LV) producing more than satisfactory images on the monitor screen. We wouldn't recommend attempting this yourself when you get your own Combi player home but it does go some way to demonstrate how robust all this technology has become in recent years. Because the CLD-1200 is one of the newest generation of Pioneer players it is not even necessary to fix the disc on the spindle in the old mechanical way. The disc is just put on the motor spindle and the clamp dropped on top; it is held magnetically. Just this stops the disc going into orbit at 1500rpm, black and deckering all those in its path. 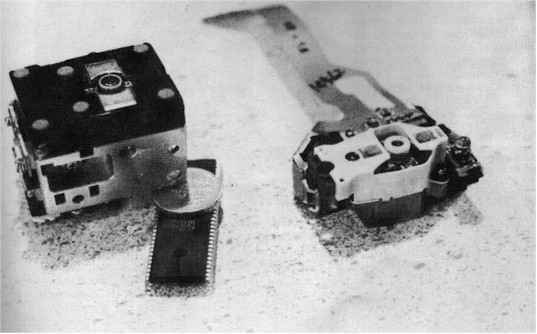 This shot shows the new laser assembly next to the previous version, as used in the CLD-1050 for example. The new assembly is only two-thirds the size and is now small enough to bring close up to the motor spindle for 8/12cm disc play - the previous model being too bulky to do this. The new assembly incorporates both the laser diode and the amplifier stage. This shorter signal path reducing the possibility of external interference and thus picture degradation. The 4-element glass lens in the old laser assembly has been replaced by a new single aspherical plastic lens too. Some idea of scale to the photo can be got from the £1 coin used to prop up the old assembly. Also helping support it underneath is the new Pioneer integrated circuit chip used in the 1200 which combines several of the video processing tasks previously requiring several different components. Whether there will be other players from Pioneer in the near future is not known. A PAL version of the CLD-99S/CLD-3030 would seem a possibility but it would probably not be that cheap. The NTSC Combi manages its digital picture effects with 1 megabit's-worth of memory whereas a PAL version would require 2 megabits - so we are told. Pioneer is certainly aware of the CLD-99S's appeal - it has been a hot seller since it introduction in Japan last year and it is surely the way for videodisc to go to overcome the shortcomings of the CLV format. Indeed, if we've understood PDO correctly, the coding system now added to discs (that, for example, enables seconds to be displayed on the screen as well as complete minutes) also incorporates a frame address capability which would suggest the possibility of still-frame file CLV discs, something that has traditionally been the sole preserve of CAV. Because someone brought up the topic of PAL/NTSC labelling of discs and the possible confusion that would arise with novice consumers it seemed appropriate to raise the regular query from these parts of when Pioneer was going to get round to producing a multi-standard machine to counter this 'problem' in the most efficient manner. Pioneer says it has "no plans for a multi-standard player at this time". As we now know the CLD-1450 was released in 1989 providing PAL/NTSC functionality for PAL TV’s. It's now well over four years that Pioneer has been selling NTSC combi players in Japan and the USA and, for the last year (in limited quantities), a PAL model. Overall, the new CLD-1200 is a third-generation player (not counting the Clip upgrade on the 909 series) and a second-generation PAL one. It is the first one from Pioneer to use a single drive motor for all sizes of disc. Although not originally launched in the Japan as 8cm-capable (as the CLD-77), subsequent introductions in the USA (CLD-1030) and now the UK have remedied this shortcoming. 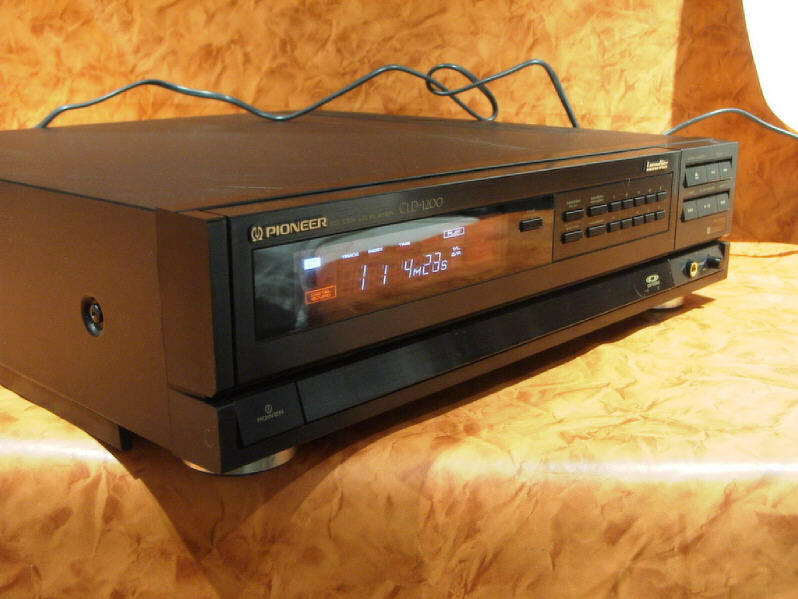 Unlike its PAL predecessor, the CLD­1050 the new player does not function properly with CAV videodiscs, treating these exactly as though they were CLV encoded. This is an unexpected economy by Pioneer that will no doubt be seen as rather a strange move by existing LV player owners. It is unlikely to be considered too serious an omission by newcomers to videodisc - what you've never had you never miss. Just to put the record straight, a non-CAV capable player is not unprecedented; in some European countries Philips marketed the VP 500, a small top-loader based on the 720/830 mechanism, that was similarly stripped of any CAV facilities to keep the price down. Were it not for the mass of buttons on the front, the 1200 would be a bit of an anonymous slab of black. It also looks the better for being seen with its display panel illuminated. For a videodisc player the front panel controls are unusually comprehensive, allowing both search and programming to be carried out as well as random track play and ‘auto program editing'. These last two functions are not duplicated on the remote. Random track play does what it suggests and re­arranges the sequence of play on CD and CD-V Clip discs (excluding the video track) but not LV discs. Auto Program Edit is designed to facilitate splitting the contents of a CD in order to fit them neatly onto both sides of an audio cassette; a useful feature if you prefer tape to disc in the car, for example. Along with the fairly complete range of on-the-player controls this last function tends to underline the attempt Pioneer has made to make the player more attractive to the audio fraternity. While the 1200 is marginally less high than its predecessor it is more difficult to find shelf space for. Pioneer shouts about engineering and electrical improvements based on refining mechanisms and condensing circuits, but what's the point if the player needs more shelf depth? (About 450mm allowing for rear connections.) This is more than the original videodisc players of ten years ago, making the unit very difficult to integrate with other components in the system. The back panel connections include a Scart socket for composite video and audio, phonos for video (1) and audio (2), aerial (in/out) and Pioneer's SR remote system (in/out). Additionally there is a voltage selector for 220 or 240 volts. Supplied with the player are video and audio leads, an RF connector and a little screwdriver to adjust the voltage. There is no direct digital output on the machine. There is no free disc either. But there is a 40 page instruction booklet that promises several days of reading pleasure if one was to plough through it in its entirety. Comprehensive it may be, but novices may find it a bit intimidating. The inside back page carries a useful remote control function table. The player display is bright and fairly large. There are five digits to cover frame or time readouts, a pair for chapter numbers and a further pair for indexes. Spread all around are about 15 other sets of characters that cover just about any operating mode, probably too many to be really useful even at close range. The red 'Digital Sound' and 'Random Repeat' lights are individual enough in style to be legible across a room and you could probably tell the CX status from such a distance. But to derive any understanding from most of the others you'd need to be using the player pretty much at eye height and arms' length. The machine is only averagely quiet when playing discs. It emits a slight ticking sound on some videodiscs, but gives out an amazing series of clunks and whirs when being powered up and down and during disc loading; almost an audio experience in itself. A push on the Eject button causes the major part of the front panel to fold down and a full-size drawer extends all the way out. Gone is the previous up-and-out tray arrangement. Pioneer has reverted to having the inner part of the drawer move up and down (so as to place the disc on the spindle when the drawer is retracted into the player). Locating 30cm discs in the drawer recess is easy, 20cm slightly less so and 12cm rather imprecise (if you choose to try loading them in the dark). The original depression left for 12cm discs looks to have been more than adequate, but the modification that has been made to encompass 8cm discs appears to have reduced the depth. 8cm discs do locate quite easily. Mechanically, drawer operation is smooth. There is not a lot to see inside the casing, most of the circuitry is accessed from below. The player's chassis is a large plastic moulding with three metal cross-pieces visible in the photo, being about the only structural metalwork involved. As can be seen, the rear area is not greatly overpopulated with electronics, the space seems to be there mostly to accommodate the 50mm or so of the drawer that does not clear the player when fully extended. The transformer (top right) is quite massive. Given that the remote is bereft of several buttons it no longer needs for CAV functions, its layout is nothing special. Comparison with the previous CLD-1050 remote shows the large Play/Scan buttons to now be diminished in size and several of the others moved around for no apparent reason. Quite why Pioneer can't leave the positive aspects of past remotes alone and improve on the others continues to be a mystery. Possibly there is no Japanese word for ergonomics? The Eject button (which is uniquely red - all the others are grey) requires one push to open the drawer. If you have a disc running it also disengages play - and then a second push causes the disc to be ejected. The Pause button acts on CAV discs the same as CLV - you don't get a still frame, just the colour screen display with 'Pause' superimposed. The CX button is present for the earlier CX-encoded discs that do not have the auto-engage code on them. Otherwise the CX function is automatic and the button serves no purpose. Audio Monitor is for switching channels, and again, a single button provides for the recurring cycle of 'Stereo', '1/L', '2/R' and so on. As an added treat the 1/L and 2/R option works on audio CDs as well so it is possible to isolate any channel on any disc, the output being distributed evenly to both speakers. To access the previous track or chapter using the Chapter Skip/Track Search buttons it is necessary to double-push the reverse button. One push on this returns you to the start of the selection currently in play; two pushes, the start of the previous one. Scan works in conveniently small measures on videodisc - ideal for when you just want to go back and check something. It works at two rates, slow for the first couple of seconds moving to a faster rate thereafter. (Same pattern on both audio and videodiscs.) The dual rate does not apply to the video portion of CD-V Clips, making the player seem a bit sluggish manoeuvring around these. On video the scan shows the usual blanking bar (which remains fairly static) and the player never loses colour synch. Search is done by the short cut method. If the disc is Track/Chapter encoded it is only necessary to enter the number on the keypad and press search. Non encoded discs can still be exploited via this short cut routine - the player interpreting the keying in as a time search automatically (or frame search on CAV discs). None of the buttons on the remote mention Index. This CD Audio facility is paid some attention to. Indexes are shown on the player display (but not the TV screen). The player does not seem to be able to access Index points in any way. 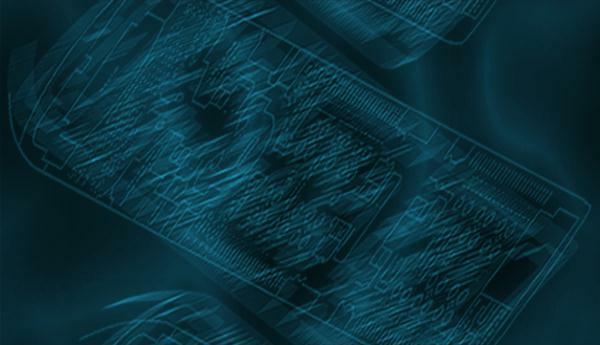 Programming for up to 20 Track/ Chapters can be undertaken. However, only the current entry is visible on the TV display, and once you have pushed the Memo button to confirm the entry it is scrolled off screen immediately to make way for the next one. Hardly a generous display. Some measure of refinement to the programming procedure is to allow corrections to be made at any stage. Using the Tr/Ch Skip button it is possible to go all the way back in the program, altering any entry that you wish. The player will also accept pauses in the program should you want the player to stop automatically at a predetermined point in the sequence. To engage play on CD Audio takes 12 seconds from pushing the Play button. It takes 18 seconds with a CD-V Clip before a picture shows up on screen. Jumping from the video to audio track (and vice versa) takes around 6/7 seconds. A track search over a 70' CD Audio side takes 5 seconds and an end-to-end scan 4 minutes. Large format videodiscs take 15 seconds to produce a picture. Although it might have been the result of some particularly deft handling at a first attempt, disc turnover came in at 23 seconds, about the fastest ever achieved. Scanning a 60' CLV side takes around a minute. Chapter search on a 60' CLV discs takes 14 seconds with the same time being recorded for CAV. 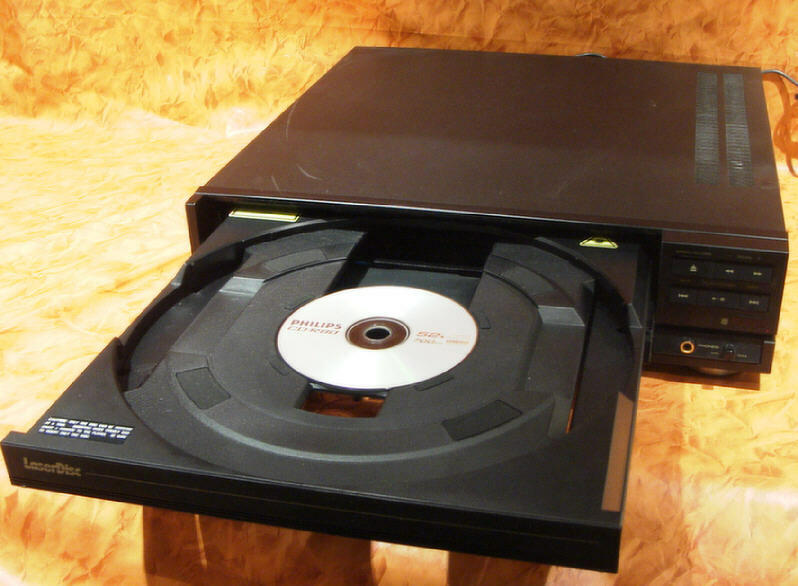 The CLD-1200 has a tendency to clip the beginning of certain discs. Were it not for the fact that the player also comes close to doing it on old LV discs this would suggest a coding incompatibility on the discs. But, more than likely, the player manufacturers have been trying to smarten up the disc lead-ins; to make a smooth transition from the player's own display straight into the programme proper. Fortunately early starts on LV discs are usually very rare as most titles have either side identifiers or prohibition notices preceding the programme. It is only the occasional credit-less side start that catches the player out. Provided the disc codings are harmonised for the new hardware, this incompatibility should be of diminishing consequence. Unlike the Philips player, though, the Pioneer cannot be scanned back past the automatic start point, so one is stuck with the clipped starts on any disc one already has. The player coped with one of the 'disputed' recent CAA titles (Howard... A New Breed Of Hero) better than the Philips CDV-475. It intimated some loss of synch without actually doing so. The player did not cope so well with Big Trouble in Little China (Lightning). Taking into account the fact that neither Philips or Pioneer players now play these first 8 CAA titles we can only suggest, as we originally did, that it is the discs at fault. If you bung an NTSC CLV videodisc into the 1200 it will not play it, but it will throw up a presentably stable black and white image from a CAV disc (following an initial reluctance to engage play). If the disc has digital sound you will also hear the audio, though it burbles continually as it is being played at the wrong speed. Unlike the CLD-1050, the new player refuses to engage the video portion of NTSC Clip discs. Our warped LV disc played on the 1200 without any trouble whatsoever and with no audible stress from the tracking mechanism. The 'dodgy' CD caught the player out - the first time it has done so on a Pioneer combi. Considering the pattern of player failures with this disc, only one common thread suggests itself. 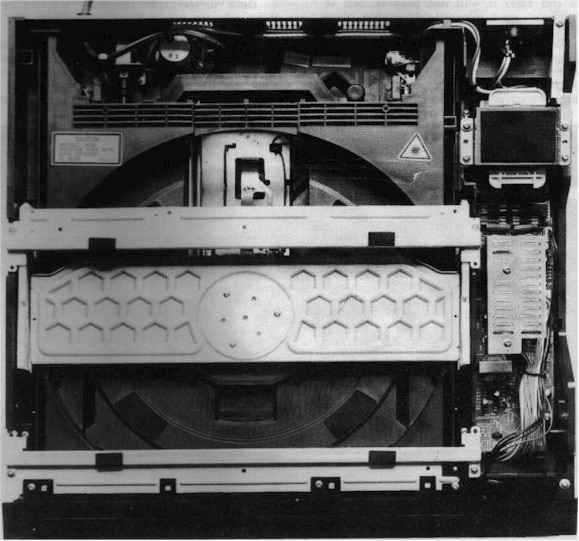 The disc has always played on the Pioneer two-motor combis but has failed (in either one or two places) on the new Pioneer, the Philips and the Yamaha - all single motor machines. The CD was tried on a conventional CD Audio player, a Philips CD 460, and played without fault. Depending on how many marginal CDs one has decides the relevance of this test. of picture detail could easily show lots of dropouts and spots and this wouldn't make for a very viewable image. The 1200 produces excellently crisp, detailed images without any noteworthy dropout problems. Very occasionally one would encounter the odd white dropout line across the screen. Having seen how Pioneer copes with disc dropouts on some of its NTSC players (by softening the image overall but recovering edge definition by the use of picture crispening circuitry, almost to the point of 'false' imaging) one is wary of how Pioneer has achieved such a good balance on the latest PAL player. But, so far, the pictures seen on it have not exhibited any unpleasant artefacts. One was aware of a slight amount of ringing on some vertical edges. The overall stability of the image and handling of strong saturated colours proved exemplary - the best of any PAL player seen so far. There is still some patterning to be seen in strong red and blue areas but this may be an interference characteristic of the composite encoding of the video signal itself and unconnected with the player. We couldn't find a saturated colour area on a disc that would break up or become noisy other than for this characteristic. Audio quality on analogue disc is good - without any of the distracting spitting picked up by the CLD-1050. Seems like Pioneer has got the balance about right this time. But no matter how good it gets it, digital is still better than analogue can ever manage. But not all digital is made equal. There is nothing significantly unsatisfactory about the sound of the Pioneer but it does have that slight unforgiving quality to it. There's not the airiness and depth to the sound that was experienced with the Philips CDV-475 player. There is no way one can get round the omission of the CAV function. Prospective purchasers will be either totally alienated by this or not bothered in the slightest -depending on their existing disc collections and usage. 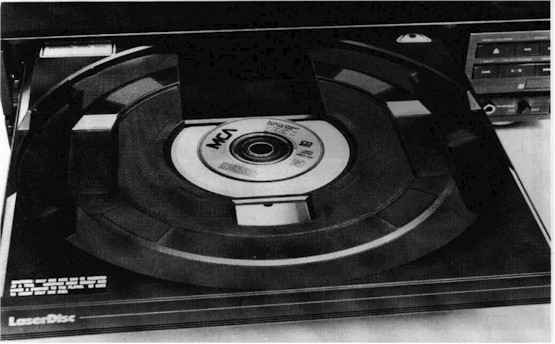 The lack of CAV certainly makes the few still frame discs available look pretty stupid when they are played, but then Pioneer might eventually come along with a digitally assisted player (like the NTSC CLD-99S) that will make all discs near ­CAV-capable (looking back it only took Pioneer 8 years to launch a PAL machine with digital frame store, the CLD-D925. 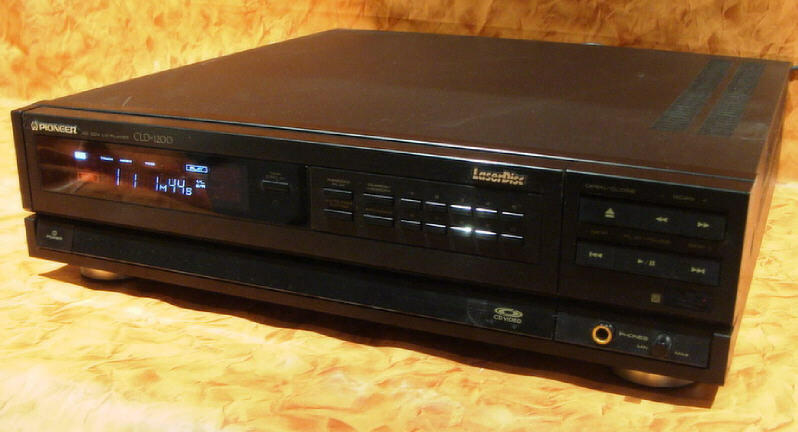 It was the first and only laserdisc player in the UK to offer this facility as DVD succeeded laserdisc. However the Pioneer DVL-909 and DVL-919 did offer digital frame store on CLV LD’s, however these machines were LD/DVD combi’s). Then you will be able to read the diet cards at the back end of Feeling Fit. There are some gripes in the review (about the player's bulk, the remote control layout etc.) that could easily be taken out of proportion for what is essentially a satisfactory machine. Functions operated by remote control expect a certain degree of sophistication. The 1200 fulfils some expectations - but not all. It's a good ground-level player. Some might find it an exciting one. The CLD-1200 retailed for £579 and was scheduled to arrive in stores during October 1988. Other owners have confirmed the top-of-screen flashing experienced in this review. Pioneer has now had similar feedback from purchasers and has narrowed the problem down to an over sensitivity of the error correction circuitry. A remedy (involving the removal of a capacitor) is available to any owners experiencing trouble who should take up the matter with a qualified electronics expert with laserdisc player knowledge (Videotec, Oxford, April 2000). Because the flashing is intermittent we know some owners have had difficulty explaining the fault. While doing the 1200 review we did receive a couple of phonecalls from readers who'd seen pre-launch demos and had noticed picture streaking to a certain degree. "No, not on our sample" came our reassuring reply, for indeed, no such difficulty had arisen. Seeing as the first few players Pioneer had shipped in for UK demonstration were production samples it seemed not unreasonable for a few bugs to he present. However, after some weeks of use our 1200 did begin to exhibit a degree of streakiness, especially on Clip discs. The effect was rather reminiscent of the video camera microphony effect that can be encountered on some older concert video recordings. The player also became a bit noisier mechanically. Although it is not a new phenomenon we did say in the player reviews that we’d pursue the case of the patterning effect on strong colours (usually reds and blues) that is common to all players. Unfortunately we can't come up with a neat name for the characteristic to identify it beyond all possible confusion. Describing it is quite easy the patterning looks like fish scales - or one might describe it as a repeated interlocking S pattern running vertically down the colour. Someone referred to it as a herringbone effect which we'd be tempted to resist because it suggests something involving straight lines whereas in reality the lines are more rounded (and there is a far more definite faint herringbone pattern that sometimes crops up on certain discs that has of a different cause). The characteristic is not present on NTSC videodisc, only PAL. We thought it may be something to do with PAL video generally but someone with experience of broadcast VTRs says that it does not crop up there; it's purely a disc characteristic. Hans Kristian Pedersen of Denmark's Laserdisken has in the past suggested it might be caused by some sympathetic 'beating' with another frequency which a video engineer has suggested to him is located somewhere in the region of the analogue audio part of the LaserVision spectrum - around 1.00MHZ. The fish scale effect is as prevalent on the new CD Video discs as it ever was. Just look at Bananarama'a Venus or Pepsi & Shirlie's Heartache - the strong red and blue backgrounds are both turbulent and riddled with the patterning. One reader who has encountered some technical reports about LV from back in 1981 also came up with the suggestion that it might be a harmonic effect from elsewhere in the LV spectrum. He added the news that the characteristic was more likely to show up on video monitors but should be reasonably well suppressed on more typical, medium resolution TV sets. This news really struck home during a visit to London's Stereo Regent Street when the Dire Straits Alchemy Live disc was playing away on a row of TVs. As this is not the best defined piece of film recording; the extensive use of dark lighting, soft-focus filters and low-gauge film stock makes the disc much more of an aural entertainment than a video one. A lot of the time blurry blobs of colour from the stage spots are all that is visible on most of the TV screens in the shop these looked as appealing as blobs of light ever do and you'd have to have been reasonably aware to notice the fish scale patterning. But on Pioneer's full-bandwidth SD-M28 monitor TV the effect was horrendously well defined and (thus) devastatingly prominent. The resolution of this TV is obviously such that the full effect of this patterning can be seen as never before. (The SD-M28 will apparently make a presentable job of resolving the 5.25MHz grid on the BBC test chart.) So, although the analogue sound has gone, this beating effect is as strong as ever - presumably the presence of digital information in the same part of the spectrum has the same end result and it may be something we just have to live with in PAL until there is some major change in the format. Pioneer's second-generation PAL Combi dispenses with CAV functions as an economy measure, limiting its appeal to LV player owners wishing to trade up. For newcomers to videodisc it is not such a loss. The player needs a lot of shelf space - its depth makes it difficult to locate with other audio components. It is slick in operation, however, and accommodates all 4 sizes of disc without need for adaptors. No digital output though - another unfortunate economy that will show up when CD+Graphics is introduced. Picture quality seems to indicate continued improvements over previous players; a very sharp, detailed picture is achievable with minimal turbulence in strong colours and the best dropout compensation ever seen on a PAL player. Review player exhibited some picture flashing* at the top of the screen on certain discs. Sound quality good on analogue and average on digital discs. With digital software there was not the airy and open treble clarity of the Philips machine though. The picture flashing occurring at the top of the screen was described as being curable by the removal of a capacitor. An additional bonus is the player's ability now to play the handful of 'faulty' CAA LV titles in our possession. The formerly troubled copy of Howard ... A New Breed Of Hero now plays right through to the end of the first side without a murmur - previously it would falter for a few seconds around the 50 minute point. There is a small (non-monetary) price to pay for the modification in that, as the capacitor involved formed part of the dropout compensation circuitry, its removal reduces the player's capabilities in this area to a degree. Some previously suppressed dropout tends to show up as small white spots and some bearding occurs. This latter phenomenon was encountered on the Pioneer LD-700; a tendency for the player to produce little spiky overshoots on sharp-edged graphics. It's not enough to render them illegible and the only real trouble we've noticed is with the yellow Deutsche Gramophone logo and some yellow stage lighting on concert videos that have a tendency to exhibit short bleached dropout lines. The main point is that, as originally supplied, the dropout compensation on the player was quite outstanding. In the few months of use of the original 1200 a fair number of older discs were auditioned and all of them looked cleaner than before. Pioneer presumably thinks the original number of capacitors was the right number for the job in hand and the resulting over sensitivity of the player is probably no more than a slight disharmony between UK-manufactured discs and Pioneer's own Japanese-made ones. PDO always tells us that LaserVision (and CD-V) is 'a system' and, as such, discs and players need to be adjusted from time to time to produce optimum results. So, with a bit of tweaking, it might be possible in the future to make the discs more compatible with Pioneer's original circuits and the capacitor could go back. The modified CLD-1200 still skews the top of the picture in scan as before so we must conclude this is a normal characteristic of the player and not an indication of any fault. One reader wrote to say that his player was also exhibiting the streaking we commented on but he has been the only one. Our replacement 1200 seems to be OK.